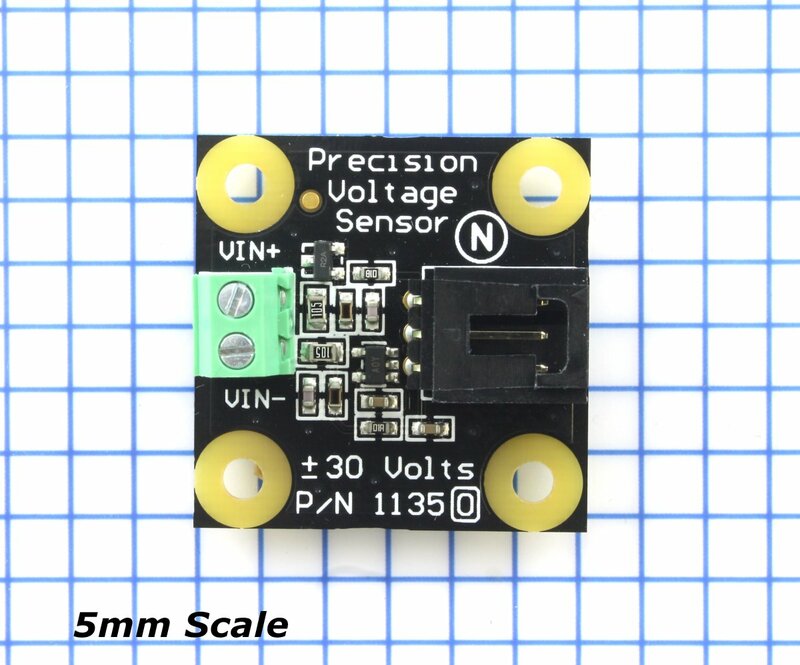 Replaced by the 1135_0B - Precision Voltage Sensor. 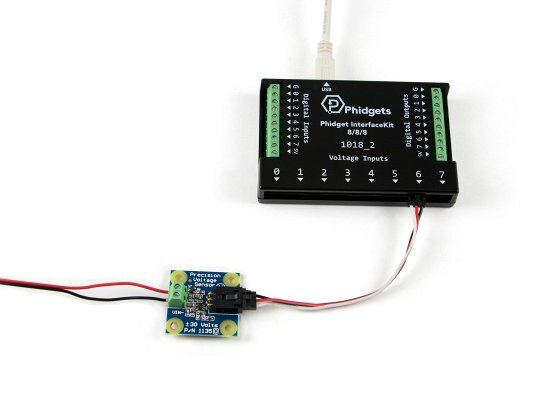 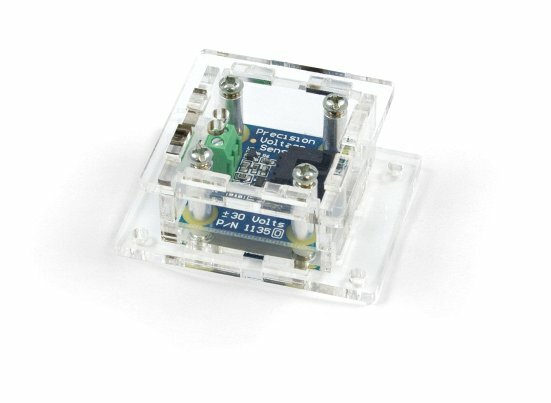 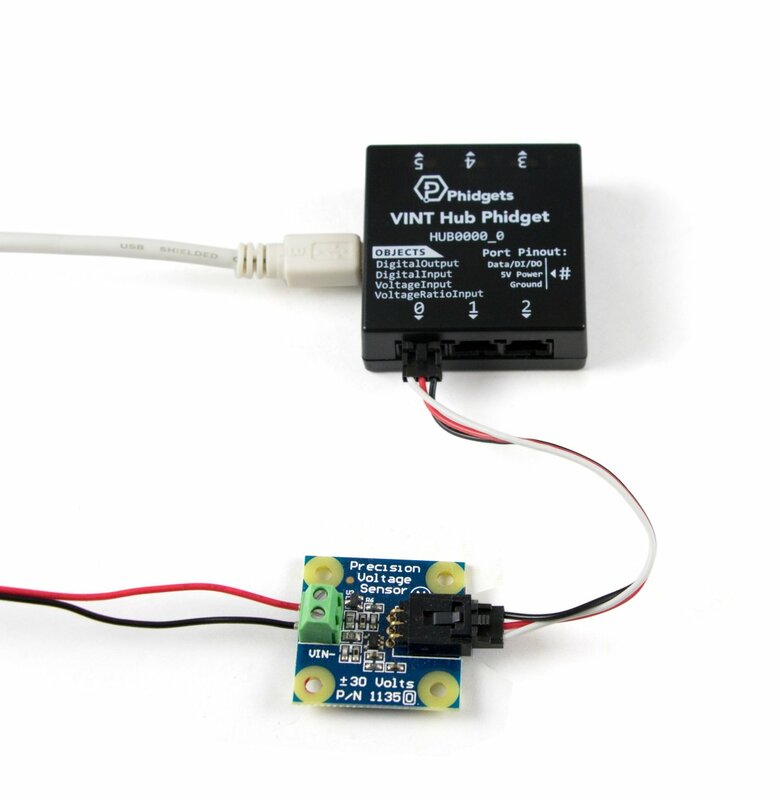 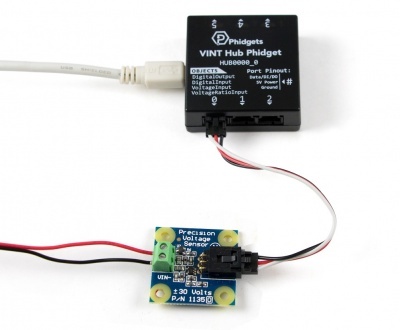 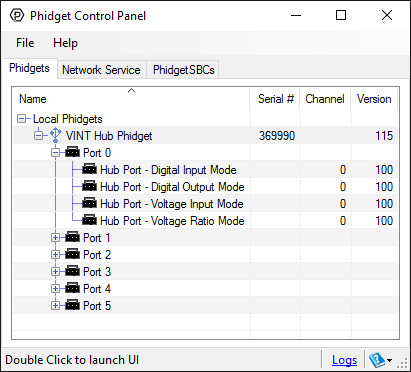 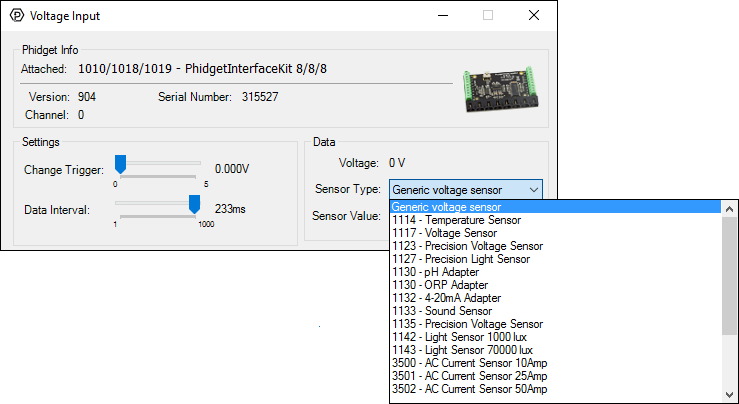 It is the same sensor, but you now have the choice of what length of Phidget cable to include. 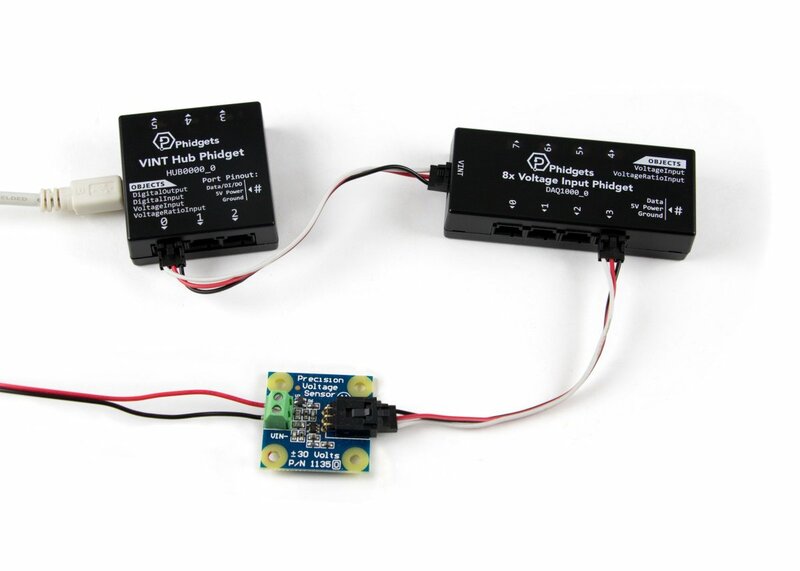 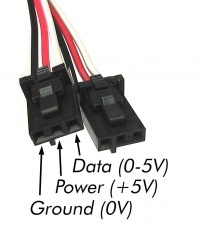 The Voltage Sensor measures the differential voltage between the input terminals and outputs the difference proportionally. 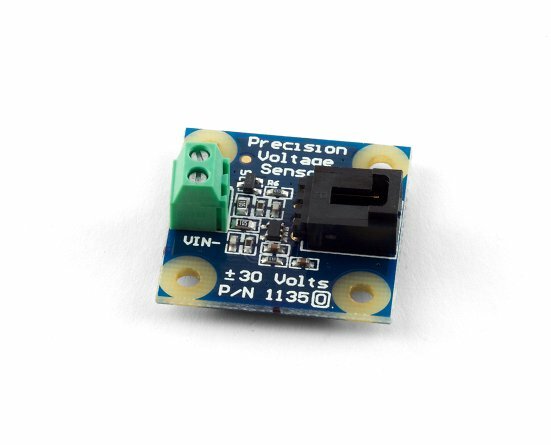 The maximum differential voltage that can be measured accurately is ±30V.